TUCSON, Ariz. - A large caravan of migrants coming from Central America, through Mexico, headed towards the United States has become a prime part of political debate in the run up to the midterm election. 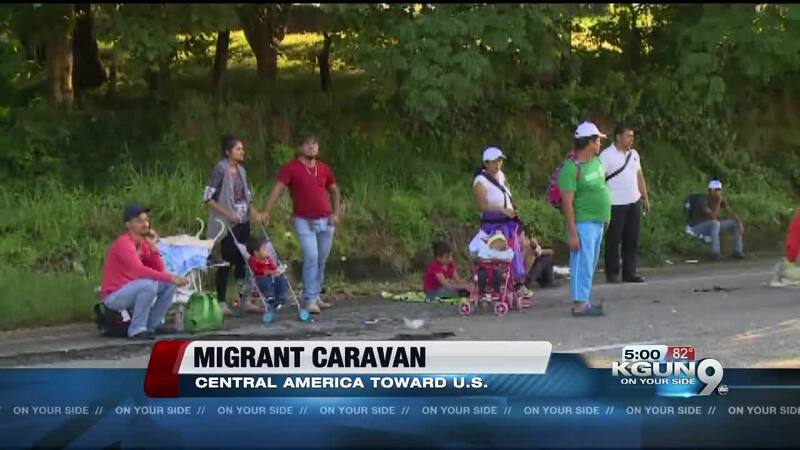 University of Arizona Latin American Studies professor Doctor Elizabeth Oglesby says there have been many other caravans like this one, composed of people trying to escape violence and poverty in places like Guatemala and Honduras. She rejects the claim that this latest caravan includes criminals and even terrorists and says anyone who reaches the U-S border and convinces officials they have a credible fear of persecution, will still face intense screening before there's a decision on whether they'll be allowed to stay. "Starting with the border patrol officers who do the credible fear hearings and ending with the immigration asylum judges. Only a very small portion of people who actually apply for political asylum will actually receive it. It's a long and heavily vetted process." Doctor Oglesby says international law requires the U.S. to consider asylum requests and not just automatically turn away people who seek asylum at the border. She says a caravan in April dwindled from thousands of people down to about two hundred who actually reached the U-S. She says their asylum requests are still being considered.